The Trident Quest is a nice looking ball…we had mixed feelings on this piece depending on who was testing. 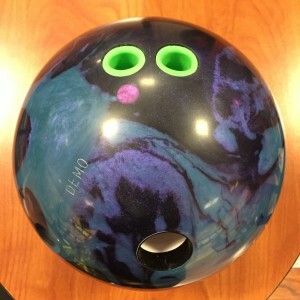 The Motiv Trident Quest is a high end ball. Unfortunately, we just don’t see it being versatile enough nor strong enough to give a higher value rating. High rev tester likes the ball and saw more versatility. Other testers found a narrow window of usability. 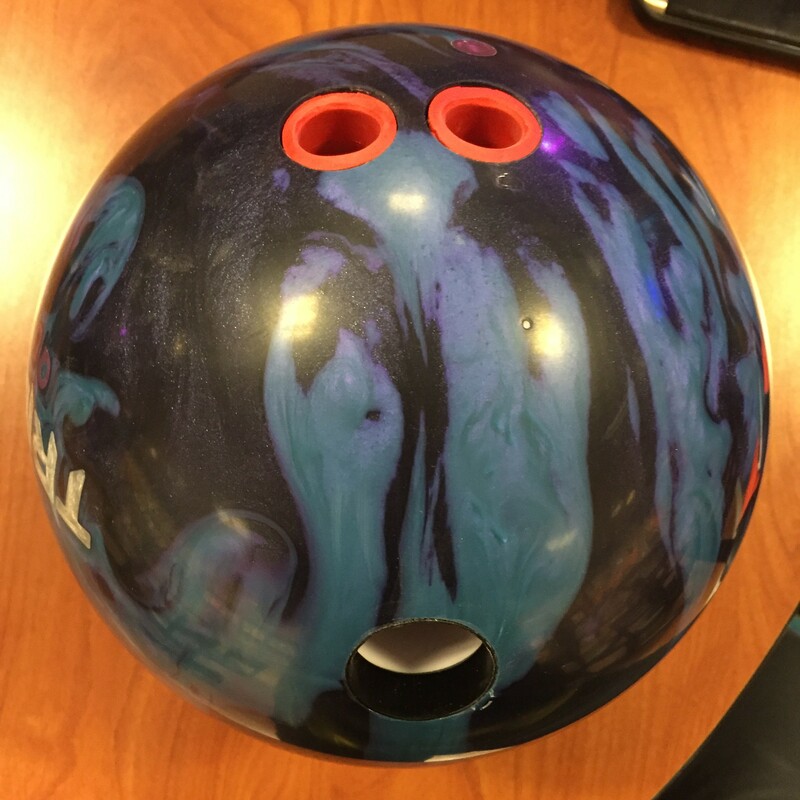 The Motiv Trident Quest uses the Turbulent core inside the new Hexion™ Reactive cover stock. It has an RG of 2.49, diff of .054 and high mass bias of .017. OK what did we see? The Trident Quest has nice shelf appeal. One thing we noticed was that we had slightly different out of box finishes ranging from moderately shiny to fairly dull. Ultimately, we expected it to be a bit more shiny out of box with the 5000 LSP finish. On to Greg. He’s got a higher rev rate and more tilt. He had more overall motion and board coverage. The ideal line for him was 19 to 6 with a great ball reaction. However, he seemed to have an extremely narrow margin for error. Whether he missed in or out, the ball seemed to under-react. This seemed a bit confounding. The house shot should not play this tight, especially with a ball that we expected to be aggressive. When it worked, the shape was very nice and recognizable when thinking about the Trident. But small misses for Greg and the ball lost lots of continuation. By now you’re probably wondering what’s going on. We stopped wondering once Sean started testing. It seems clear straight away that this ball is designed or at least will work best for high rev players. Once again, it’s clean and gets down lane relatively easily and is smooth and not very aggressively reacting to dry boards. So that adds a level of control for the high rev bowler allowing them to just get on it. Sean can overpower the ball with his rev rate thereby compensating for it’s smoothness. That overpowering also compensates for the less continuous motion and therefore carry is pretty good. Sean had a significant advantage in ball reaction over the rest of us on the house shot. We did not make any surface adjustments during testing so can not attest to the affect on ball reaction. Sean also compared it to the United Revolt. The Quest was a few boards stronger but the United Revolt was a bit more continuous. As you would expect the Quest had a bit more hook/set motion due to it being an asym. We also had a chance to test the Trident Quest on a 39ft 22ml sport compliant shot. My slot was around 13 to 6 but I didn’t feel like I had much forgiveness. I expected a bit more given that it was a smooth rolling high end asym pearl. I would need it broken down more to use the Trident Quest on a tough pattern. The last shot I threw with the Quest that didn’t make it back was a flush strike with the original Trident with more traction and more backend punch. For the righties, the pattern was somewhat broken down and Greg had a great look. The ball worked extremely well still getting down lane but reacting smoothly to the friction. He could miss in and the ball held which was a surprise as this tight shot usually flies when missing in. Finally Sean tested on the sport shot. The shot was a bit too broken down for him so it was tricky. The ball was checking up early and if he forced it, it rolled out. Additional note: I did also try to replicate the factory finish as it looked a bit dull when we received it. Also tested it in another house. Ultimately, the ball did have a little more movement down lane for me, that has a lot to do with the lane beds. However, the overall characteristics and ball motion were the same. Carry didn’t really improve much for me but the ball did look better on pro anvilane surface. 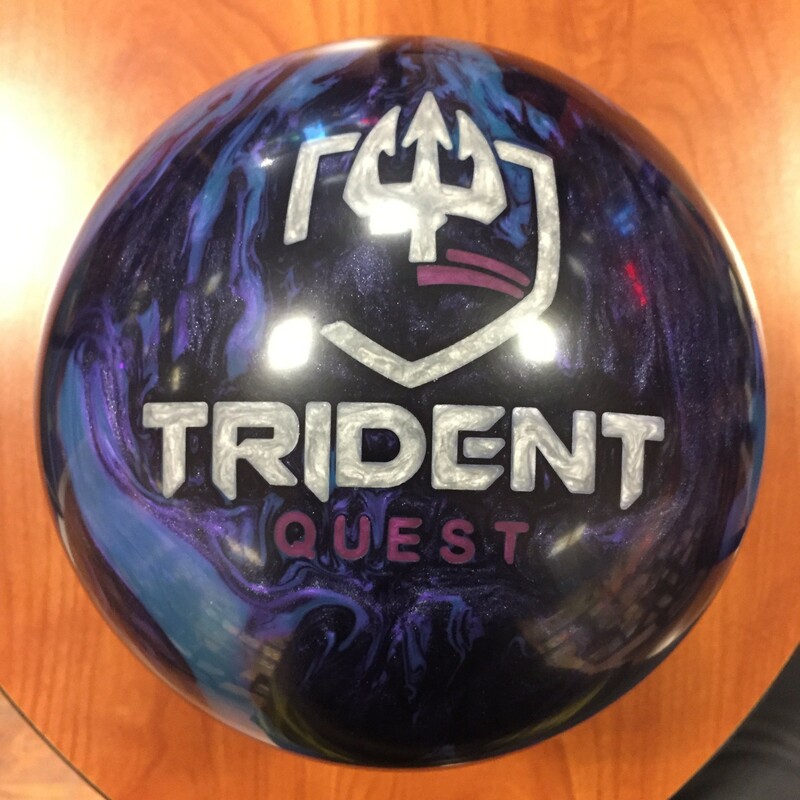 The Motiv Trident Quest has its place. The issue we had wasn’t what it does but rather it’s value proposition. For me, it offered benchmark type roll, not a punchy pearl asym. Is that a bad thing? No in terms of the roll but yes if you are expecting something else. The higher tilt and higher rev tester who typically has more room on a house shot lost that room. But the high rev bowler had the best house shot reaction by far with the Trident Quest. So my question is how do you find bang for the buck with the Trident Quest? Know what you want and know what the ball is. 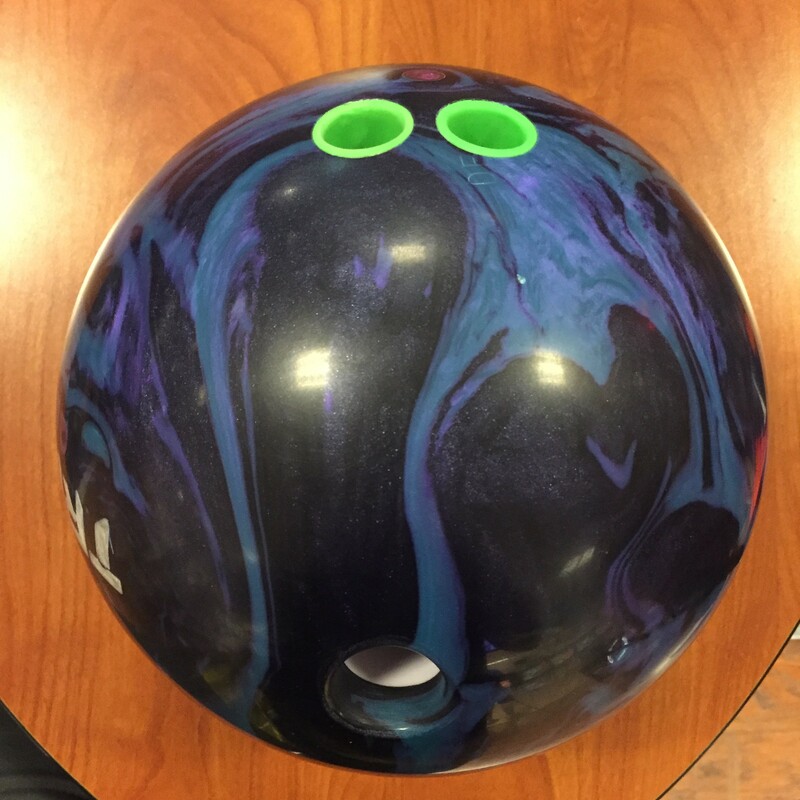 For tweeners, you’ll find value if you’re looking more for a control ball. High rev bowlers look to get the most value by far.